Maurice R. Marshall et al. An obscure class of vitamin E, called tocotrienols, has been found in muscadine grapes (Vitis rotundifolia). 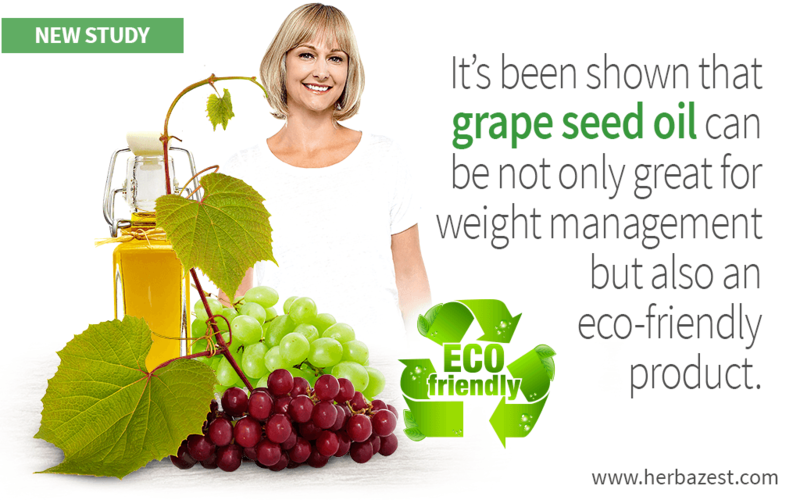 Tocotrienols are not found in high levels in nature, so these particular grapes could be a great way to enjoy the potential health benefits of this unsaturated vitamin E form. Researchers from the University of Florida based this study on the foundation laid by previous research, which showed that tocotrienols can decrease the formation of fat cells. In this study, scientists took human fat cells and treated them with muscadine oil obtained from the seeds of this particular grape species. Some cells were treated with rice bran oil and olive oil to compare. The former is known to contain tocotrienols, while the latter only has tocopherols, the most common form of vitamin E.
It was observed that the tocotrienols in grape seed oil interfered with the proteins involved in adipogenesis, or the formation of fat cells. The unsaturated vitamin E also reduced the production of inflammatory compounds. The effects of tocotrienols have not been tested clinically, so it is not certain that they will have the same benefits in the living human body as they do on isolated fat cells. However, the researchers hope that muscadine grape seed oil could be a dietary tool against obesity and weight gain. Another obstacle is the limited availability and application of muscadine oil, though if growers are able to produce more of this particular grape, it could be used mainly as a salad dressing, for example. Not only is muscadine grape seed oil high in this unique vitamin E, but up to 90% of its fatty acid content is unsaturated, too. Beyond the potential benefits of grapefruit oil for weight loss, muscadine oil could also be environmentally friendly. Since this type of grape is used primarily in wine and juices, the seeds are often thrown away. This research hints at a possible use for this winemaking byproduct so that it doesn't have to go to waste. Other herbs that can aid weight management are asparagus, cayenne, and certain types of tea, such as sencha green tea.